Perched majestically on a pristine mountainside in the Berkeley Hills, standing watch over the glistening Golden Gates of San Francisco Bay, the history of The Claremont dates back to the early days of the Gold Rush, when a Kansas farmer by the name of Bill Thornburg struck it rich. He arrived to California with his daughter and his wife who dreamed of living in an English Castle. To fulfill his wife’s dream and built the castle and several stables, which housed pedigreed hunters and jumpers, Thornburg purchased 13,000 acres. Shortly after Thornburg’s daughter married a British Lord and moved to England, Mrs. Thornburg died. Bill Thornburg subsequently sold the “castle” to a family by the name of Ballard. While the Ballard family was out on July 14, 1901, a dry and windy day, tragedy struck and the castle burned to the ground. As the municipal water supply was not well regulated, the volunteer fire department was helpless when the hot, dry summer winds blew flames across the Berkeley Hills, also destroying many other homes in the area. Only the Ballard livery stables, barn and some of the costly furnishings survived the fire. Havens and the “Claremont Hotel Company” began building in 1905, but the infamous earthquake of 1906 and subsequent Panic of 1907 interrupted construction. 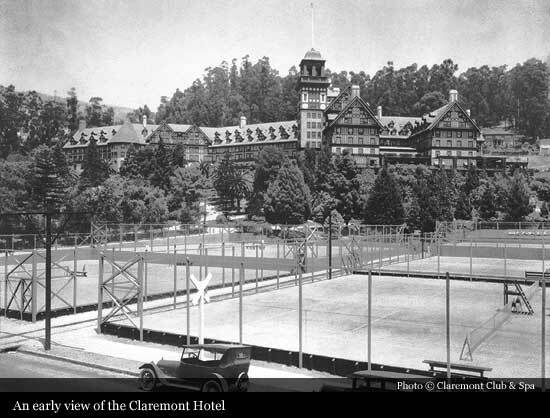 The additional land The Claremont Resort & Spa now rests on was purchased in 1908 and after much turmoil, The Claremont Hotel opened for business in 1915 as the sprawling Mediterranean hostelry seen today. 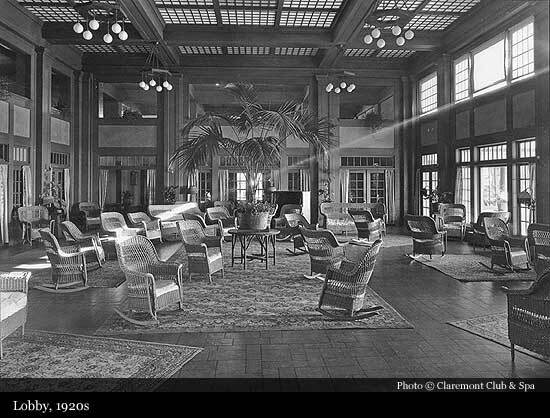 From the charming rural surrounding and expansive veranda and lobby, larger than any other hotel on the Pacific Coast, to the on-site private school and radio station, The Claremont Hotel was one of the nation’s grand transient and resident hotels. 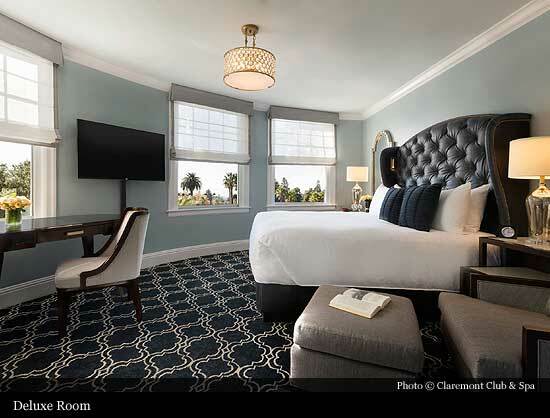 In 1937 Claude Gillum, who had been with The Claremont since 1926, purchased the property for $250,000 and virtually rebuilt it from the foundation up, completely refurbishing the interior. A state law, which radically changed the design of The Claremont, prohibited the sale of alcohol within a one-mile radius of the University of California. 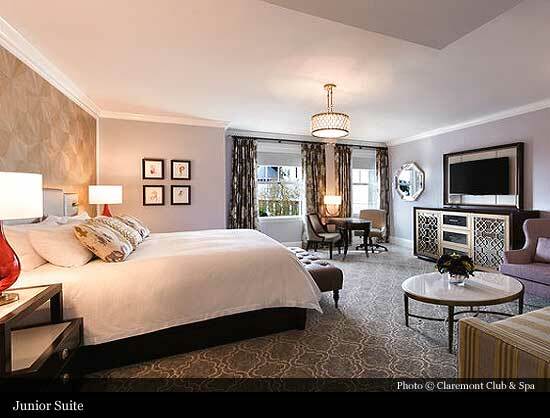 Since the hotel is constructed on the borderline between Berkeley and Oakland, it was assumed to be within the one-mile radius. Thus, it was not allowed to serve liquor. 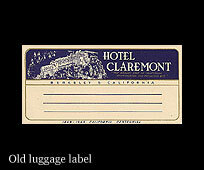 In 1936, The Claremont was one of very few hotels without a bar. This situation changed when a female student at the University began to investigate to see if the building was indeed within the one-mile radius. She and her friends measured the shortest route from the U.C. Campus to the front steps and found The Claremont was a few feet over the one-mile radius, meaning a bar could be opened. (It is now called the Paragon Bar & Café). The woman responsible for these findings was awarded free drinks at The Claremont for the rest of her life. The grounds and natural settings give The Claremont a picturesque quality reminiscent of the Age of Romanticism. 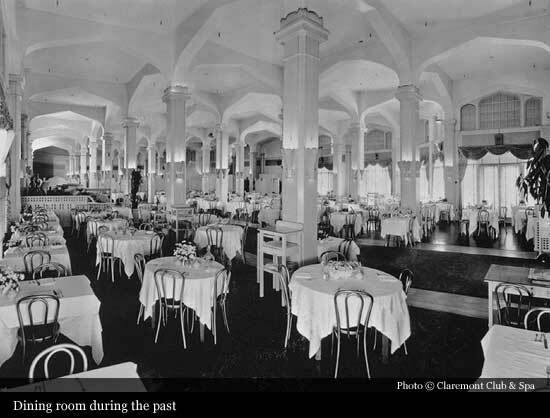 In the 1930’s, the entire second floor was flanked by a large porch where visitors would sit, take walks and admire the surroundings and spectacular sunsets. Some will remember The Claremont’s Garden Room “high atop the hill” where such famous bands as Count Basie, Louis Armstrong and Tommy Dorsey performed. During this period, lawn sports such as tennis, badminton and croquet were gaining popularity and the resort’s first tennis courts and pool were built. Around 1940, the porch was enclosed and transformed into office and dining space. 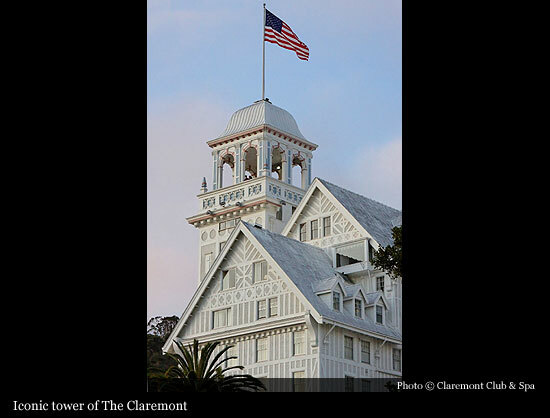 At this time, The Claremont was painted entirely white, the roof was fire-proofed, and the shingles were turned a whitish-silver color. 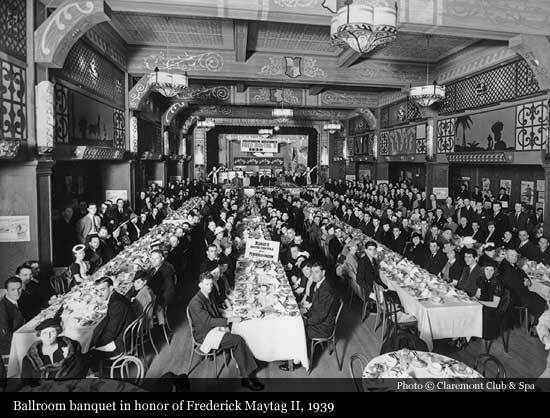 In 1954, Mr. Harold J. Schnitzer of Harsh Investment Corporation bought the property and leased it to Mr. Murray Lehr; it became a popular site for conventions held in the Bay Area. 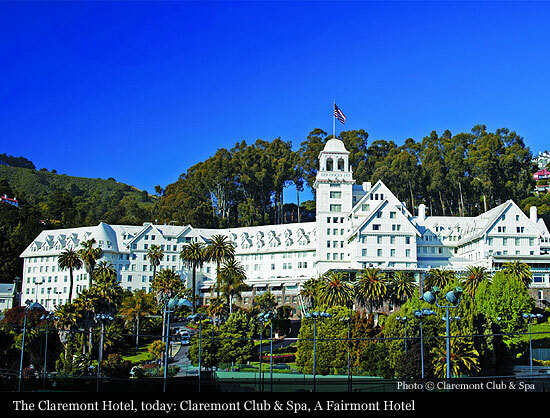 By 1959, The Claremont had more convention and exhibit space than any hotel west of Chicago and represented the largest convention resort in the Bay Area. 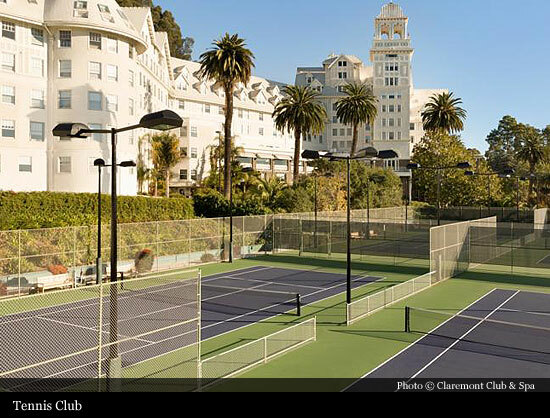 The 1980’s was a decade filed with massive improvements, a $40 million challenge to bring The Claremont up to date while maintaining its rich century-old historic charm. During this time, a Mediterranean porch (doubling as an open air Wedding Chapel), a cocktail lounge and a coffee shop were completed. New tennis courts were built and the pool and tennis facilities were completely remodeled with a snack bar, a lounge and pro shop. In addition, the grounds were re-landscaped with exotic flowers and greenery. 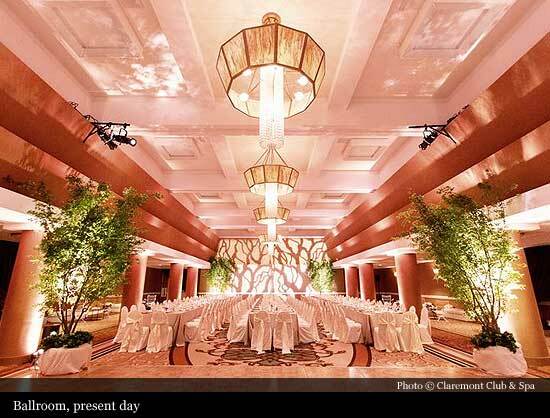 All of the guest rooms were refurbished, air-conditioning systems were installed and all of the banquet rooms were renovated. 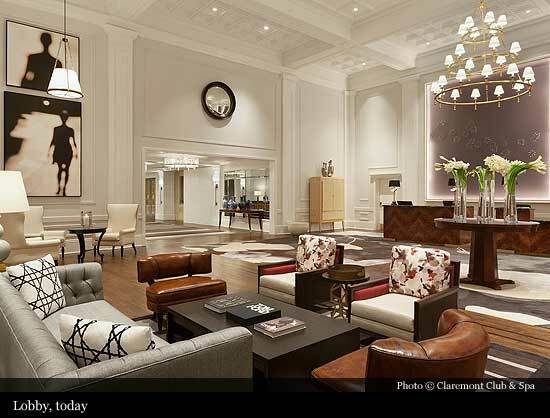 During this time, The Claremont also added a $6 million amenity to the Club building: an authentic European-style spa. Professionals were recruited from across the country and abroad. 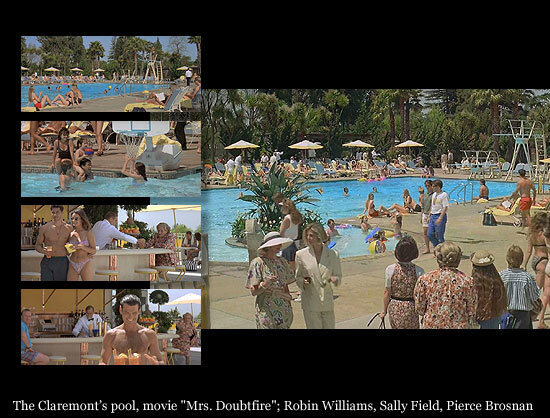 In 1993, The Claremont’s pool deck was used as a filming location for the movie "Mrs. Doubtfire", starring Robin Williams, Sally Field and Pierce Brosnan. 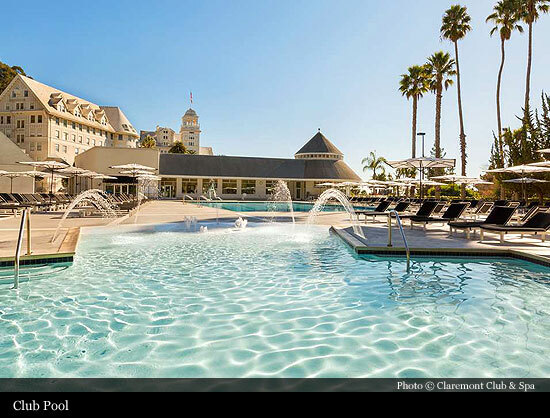 Beginning in 2000, The Claremont began another extensive renovation, the Millennium Grand Makeover, including upgrades to all 279 guest rooms, improvements to the lobby and meeting space, addition of a new spa and dining venue and expansion of the fitness facilities. 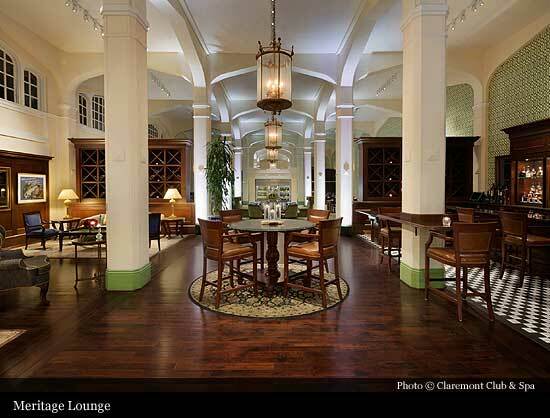 As demand grew, a brand new state-of-the-art Claremont Spa debuted in 2001 in the basement of the main building. This 20,000 square-foot facility continues to build momentum as one of the finest spas in the country. In addition to the 32 treatment rooms (double the size of the former spa and salon), The Claremont Spa boasts an inventive menu of treatments designed for both men and women, a “Signature Journey” series, plus elegant lounge areas with dramatic floor-to-ceiling water walls and hydrotherapy baths and spaces that capitalize on The Claremont’s magnificent San Francisco Bay views. The Paragon Bar and Café was completed in September 2001. The lively albeit casual dining spot with skyline views has an eclectic array of hand-shaken cocktails and a café-style menu. There is live jazz four nights a week and outdoor deck seating. Lunch and dinner are served daily. The Claremont’s focus on health and wellness amenities resulted in the expansion of its fitness center in 2002. The 20,000-square-foot facility is part of The Claremont Club. Enhancements including a Pilates room, special cardio and weight rooms, new locker rooms and fitness class rooms were completed in March 2002. A Living Well Center offers private and group instruction on fitness, nutrition and fashion. Through the years, The Claremont has maintained a tradition of gracious hospitality and its staff looks forward to being of service for generations to come.